When disappearing is not an option. Jimy thinks he can handle anything but involves himself in a shady deal that he cannot control. He owes money to the wrong people and subsequently the relationships he has built begin to unravel: his girlfriend does not understand him, his nephew needs a father-figure and his brother cannot protect him. Intuiting the danger and feeling trapped in the city, Jimy returns to the place where he lived. Once there he discovers a fragile peace but is it too late? Uwe Rafael Braun was born in Edson, Alberta, Canada. 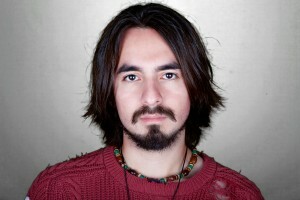 He studied cinema at the Vancouver Film School. 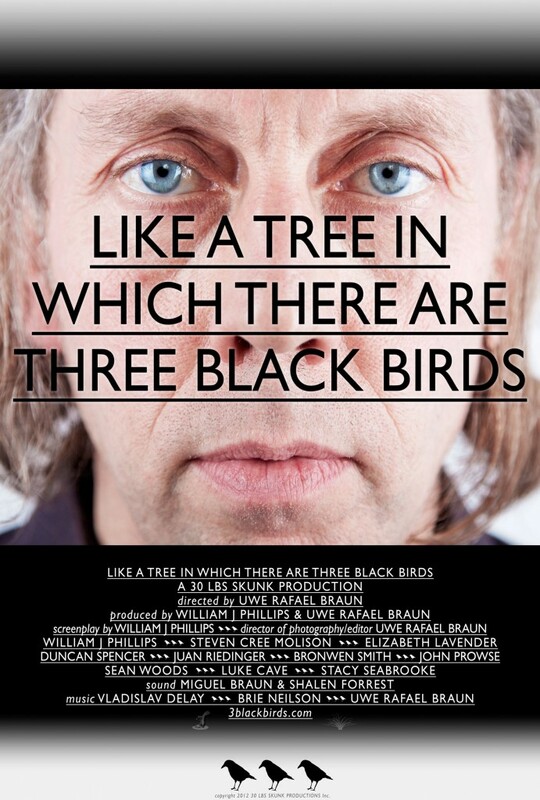 “Like A Tree In Which There Are Three Black Birds” is his debut feature film. I wanted to make a film about the incongruity of how relationships are perceived and how they actually play out. Jimy is a very normal guy who imagines he can handle anything, but he involves himself in a shady deal that he cannot control and subsequently the fantasies he has built in his life begin to unravel. Jimy has a very definite belief system built around all of his relationships: with his brother, his girlfriend, including with himself and I wanted him to gradually find that reality was not conforming to his expectations. Ultimately, this one event causes him to view everything he has built from a new and progressively invasive perspective. Jimy is slowly moving towards understanding and I wanted each step to occur in as much real-time as possible. Much of the film is done in wide shots with the intent that we are experiencing reality along with Jimy, coming to our own gradual realizations about his world and the people in it. Only on the vertices do we approach Jimy’s direct interpretations of events. These are the simple fantasies of everyday life; the illusions we live under as a support mechanism for our social existence. Making this film, I chose to present a man approaching an epiphany in a factual way with the camera observing the epic minutiae of his experience. ‘Feels like a race and I don’t want to win’. Though Jimy doesn’t say these words in ‘Like a Tree in Which There are Three Black Birds’ they are however, his internalized thoughts that play out in confrontations.The monetary system that feeds and inﬂuences our ways of living through economics, democracy and the social constructs we’ve created is, at best, deeply elitist. The system plays out in a continuous and unrelenting cycle of ﬁnancial stresses with often tragic consequences. There are winners, at every stage of the cycle, but where’s the net for the ones who simply will not or can not compete in today’s ‘food chain’? Life is a remarkable and mysterious endeavour made ever more real by the connections we make and the communities we build. Despite our current predicaments and responsibilities for ﬁnancial survival, and for many, an abiding addiction for ﬁnancial indulgence, our inherent and ancient instincts for the ways in how to live and who we live and breath with will lead us through where, inevitably, a balance will regain as the norm. ‘Feels like a race and I don’t want to win’ may not be such a defeatist position after all. copyright 2012 30 LBS Skunk Productions Inc.